Hey guys! If you read my previous posts, you'll notice that I already reviewed the Core Collection and Travel Essentials of Real Techniques by Samantha Chapman. Now I'm back to review the Limited Edition Duo-fiber Collection. My first and only duo-fiber brush is the powder/blush also known as the F15 brush from Sigma included in the Premium Travel Kit. It's my least used brush in the kit since I prefer using chunky and dense brushes when applying liquid-based makeup. I have to admit being a bit disappointed that this set doesn't come with a panoramic case unlike the Core Collection and Travel Essentials. Although the brushes are securely packed in a thick foam-like holder, I would've loved this set even more if they included a brush holder. Maybe it's just me but I feel like coming up with a limited edition brush set without the case is quite incomplete. The duo-fiber face brush isn't as dense as the other large brushes of Real Techniques. Come to think of it, duo-fiber brushes are meant to be less dense than regular brushes because they're intended for lightweight application and blending. I find this really nice when using powders with shimmer like my Physicians Formula Happy Booster Glow and Mood Boosting Powder. It can pick up just the right amount of product and evenly distribute it on your face achieving a natural glow instead of a glittery finish. The duo-fiber contour brush is meant for precise contouring and sculpting but I mainly use it to apply my blush. I love how it makes my cheeks look lightly stained rather than flushed. Again, you will notice the bristles to be sparse yet it effectively diffuses and buffs your makeup. This duo-fiber eye brush is probably my most favorite in this set. I love how this brush can add that much needed umf after using it to apply highlight on your lid, crease and brow bone. You can also use it to blend your eye shadow. Luckily my two other brush sets offer additional slots to accommodate extra ones so I was able to put these brushes with them. Notice how they look nice with the other brush sets? Maybe that's why they didn't bother to include a case for the duo-fiber collection but still, having a limited edition case would've been great! Just saying. Overall these duo-fiber brushes are a good addition to my slowly growing number of tools. I love the soft bristles, the shiny white ferrules and of course the rubber handle. You can tell that these are of good quality after several times of deep cleaning them without literally shedding a strand which is actually a major turn-off with my Sigma F15 duo-fiber brush. The price ($19.99) is a bit higher than the other Real Techniques brush sets ($17.99) so this might be a concern for some of you but don't fret because having these may be a good addition to your makeup tools but not at all a must-have in my opinion especially when you already have duo-fiber brushes of your own. Now that I'm done reviewing all three brush sets from Real Techniques, I'm thinking of doing an entry to show you the brushes I use daily including those from the core collection, travel essentials and duo-fiber collection so do please check back in for that. 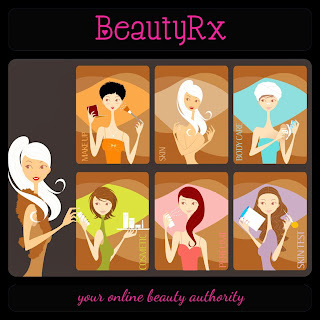 If you're interested in getting your own Real Techniques brushes, I invite you to check out my online shop Beauty Rx or my Instagram beauty_rx and you might just see something you'll like. Any questions? Please leave them on the comments section below. Thanks so much for reading and have a happy holiday! Copyright © My Kikay Stuff. Blog Design by KayLuxeDesign.